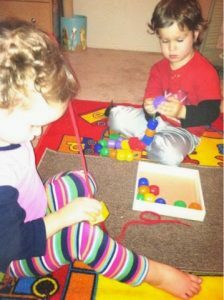 Last night, we had an impromptu homeschooling session. 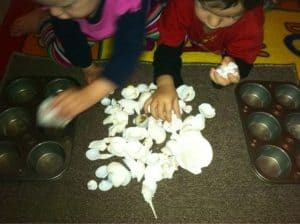 I was working with A (almost 2 years old) when K (4 years old) walked in, so I immediately adjusted the lesson to use with two children. 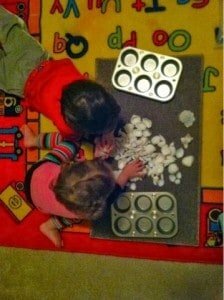 These activities can be as simple or as elaborate as you want. These are materials from the dollar store, so I spent a total of US$3. 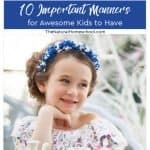 – Place a mat, rug or towel in front of child. 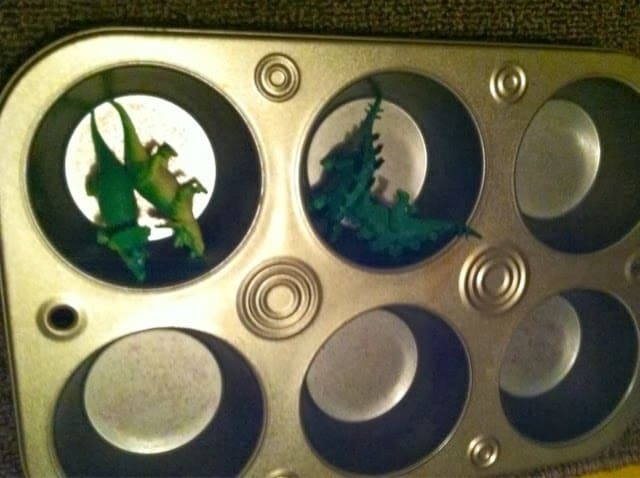 – Put the muffin tin(s) and the dinosaurs on the mat. – Pick six dinosaurs that are different and put one in each muffin tin space. 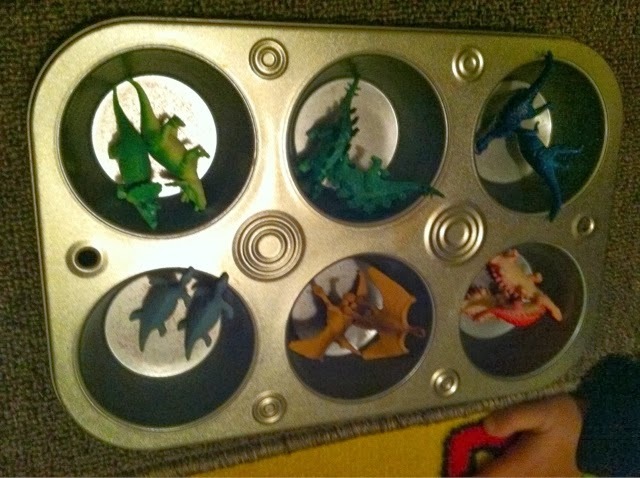 – Go through the rest of the dinosaur pile and find those that match with the ones in the muffin tin spaces. 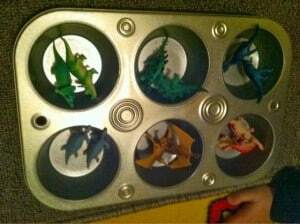 – When done, return all dinosaurs back to the pile and repeat with different dinosaurs. We had so much fun making different varieties of groups to sort. These shells were also purchased at the dollar store (it is amazing what treasures these stores can have). 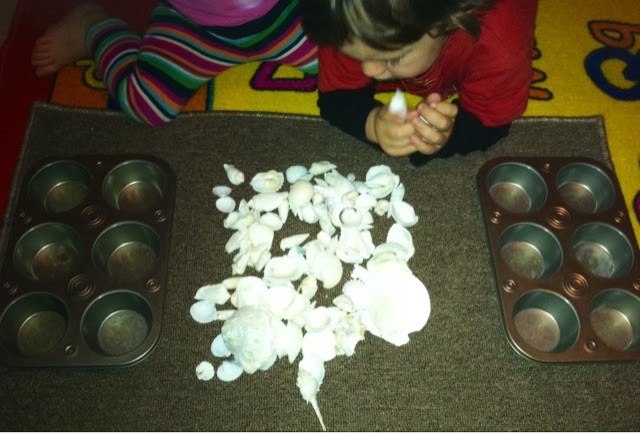 – Put the muffin tin(s) and the seashells on the mat. 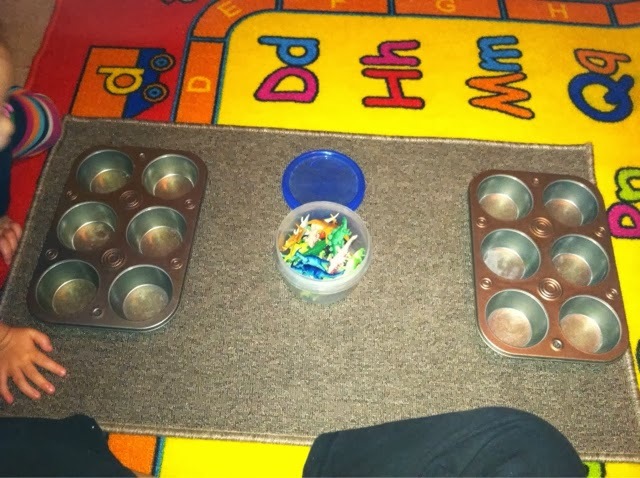 – Pick six shells that are different and put one in each muffin tin space. 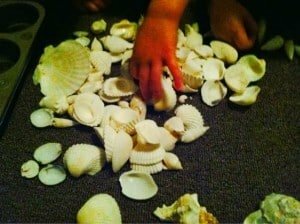 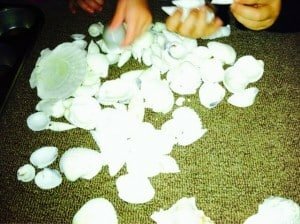 – Go through the rest of the seashell pile and find those that match with the ones in the muffin tin spaces. 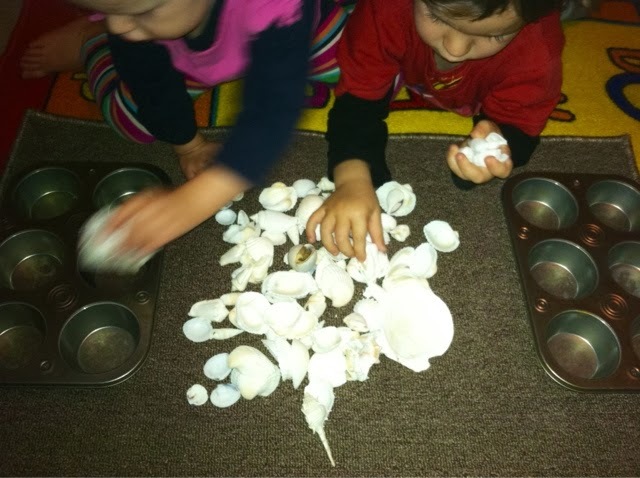 – When done, return all seashells back to the pile and repeat with different dinosaurs. 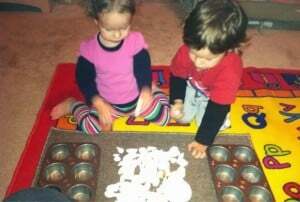 Note: Never leave children unattended, no matter the age, because some of these pose choking hazards. 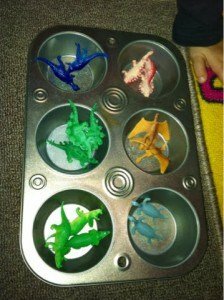 Here are a few other cool sorting trays. The mini muffin pan is a disposable one that I kept to use in our homeschool room and the elephant tray was a great find at a local thrift store. 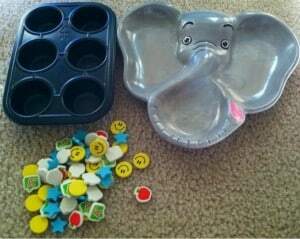 It cost only $1!